I lived and worked on Sable Island from August to November 2013 when I was an employee of Environment Canada. I had the opportunity to try out a field position in the Upper Air section of the Meteorology directorate. Since I had worked as an office drone for so many years, it seemed like a refreshing and exciting adventure. It was a wonderful experience in so many ways, but it was also a challenging time working in isolation. I never had a desire to visit Sable Island, as so many people do, but I definitely fell in love with the place during the time I spent there. There is something mystical about the Island, the very fact it exists in the Atlantic Ocean is remarkable. The Island moves every single day through the force of nature. There is not one day that is similar to any other day. Every day there was something new to observe or explore or chat about with the other people living on the Island, which is remarkable considering that the “mainland folks” normally discuss whatever news events the media decide are worthy of publication…but I digress. I don’t have a favorite memory of Sable Island in particular, there are too many good memories that it is impossible to pick one. But I do have a favorite feeling and that is freedom. It is a big decision to put your life on hold for three to four months, move away from your family and work at an isolated post. I often tell people that I dropped out of my real life for a while, which is true, because I left most of my responsibilities behind and was able to spend my days working, exploring the island, observing nature and taking the time to think about the things that were really important to me. When I returned to the mainland, I purged a lot of material things from my house and my life, made better decisions about people I wanted to invest time in and felt more balanced. Sable Island was therapy for my soul! I am hopeful that I will return to Sable again someday, but not for three months 🙂 I would love to walk along the beach at night without another human being around and think about how life is so lovely and how lucky I am to be there. 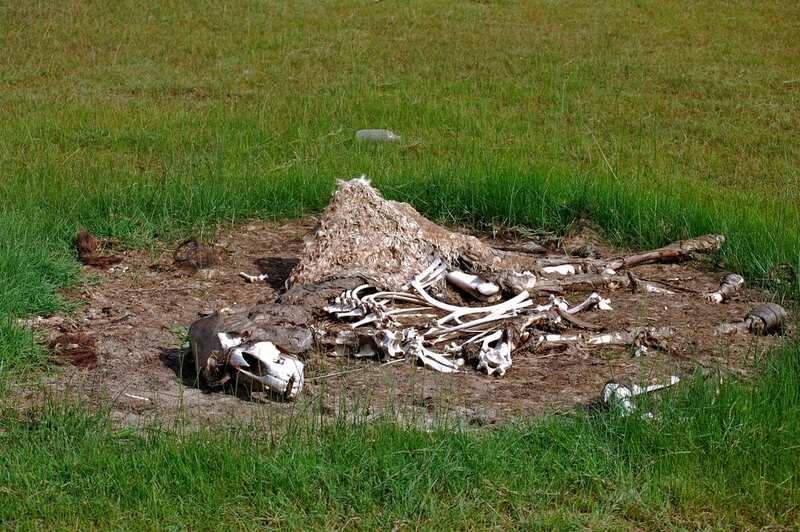 Image above: Remains of a horse that died in early spring, photo Isabelle MacDonald.